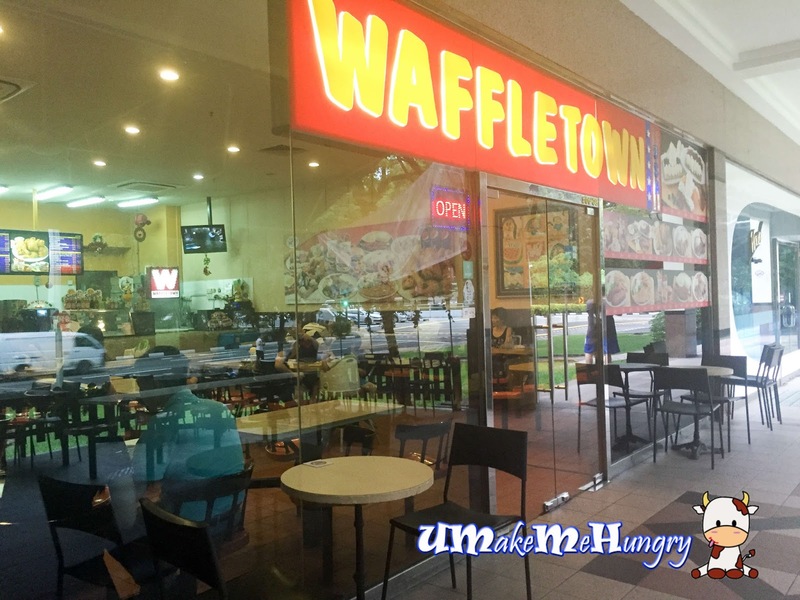 Passing by the stretch of eateries along Bukit Timah Road, we finally decided to give waffletown a visit! The interior kind of remind me to the my younger days in the 80s where parents brought me to fast food. Chairs and tables were affixed to the ground, simple furnishing without being too fanciful unlike what you can see in most cafe nowadays. There isn't any theme here and the atmosphere and surroundings give a feel of "family style". 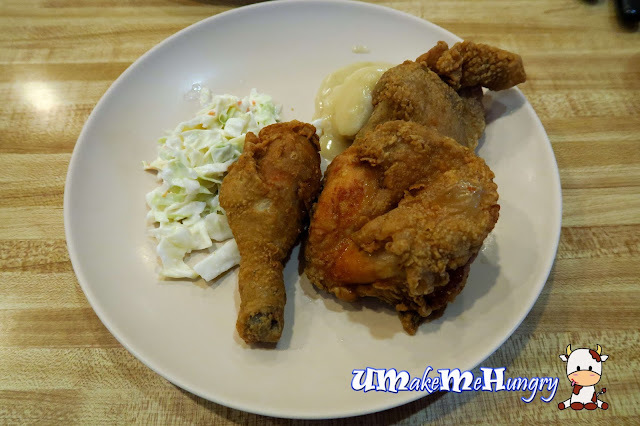 Having fried chicken in Waffletown? Wait, I'm a little confused here... Aren't they famous for waffles only? Well, in fact both fried chicken and waffles are the must try over here. To make it a meal, the 3 Pcs Chicken comes with 2 sides like coleslaw and mash potatoes as well as a cup of soft drink. The deep fried chicken were not very oily and tasted good. This reminds me of having Chic-A-Boo but of course the portion here and pricing cannot be compared. 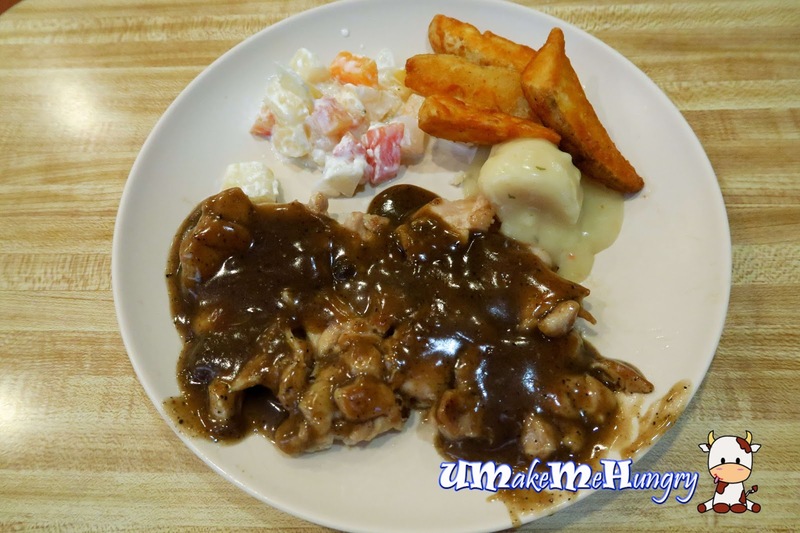 The black pepper chicken chop meal has 3 sides and we had wedges, mashed potatoes and cocktail salad. 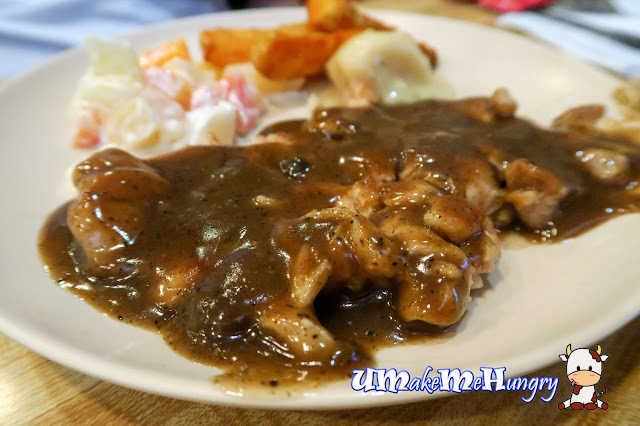 Chicken Chop was tender with black pepper sauce moderately covering its surface area. It tasted just like any old school chicken chop and was not too greasy. Good to know that the black pepper they did here was not too overpowering too! Waffle Ala Mode is served with a scoop of ice cream and 1 topping of your choice. In this case we had black berries, rum and raisin ice cream with whipped cream over the Belgium Waffle. The Belgium Waffle was more of those "ready-to-eat" kind which can be bought off the shelf. Nevertheless, it was still crispy and goes very well with my scoop of ice cream and black berry topping. Ice cream sweetness was moderate and best of the topping is that you can actually get a bite of the fruit without feeling its too artificial. 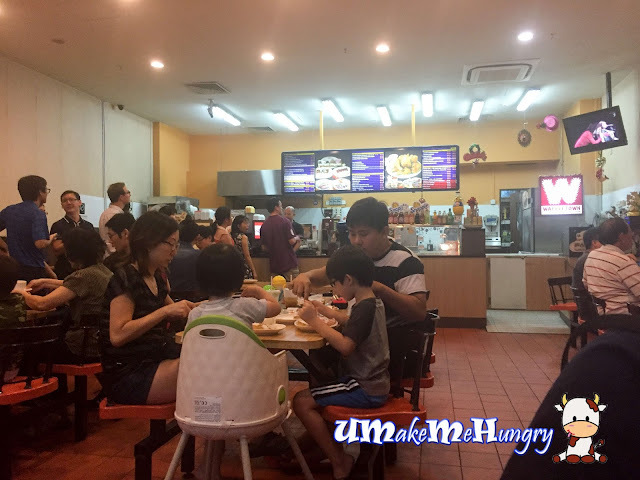 Waffletown is a good place to hangout with friends or with family for Waffles, Burgers or Fried Chicken. Chicken portion may be smaller here but still worth the try!